Who’s suing who? 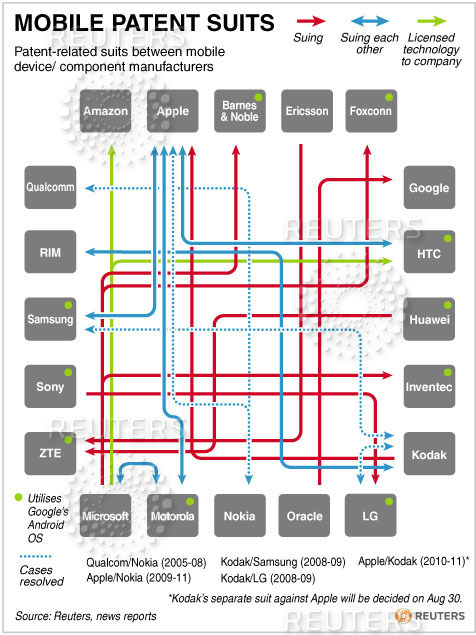 Perhaps this chart (courtesy of Reuters) will help make sense of the whole mess. Or maybe not. It looks like a giant spaghetti bowl. Is Google’s +1 the new PageRank?